Great news for sellers of street tacos and danger dogs (and the people who love eating those things, i.e. all of us). 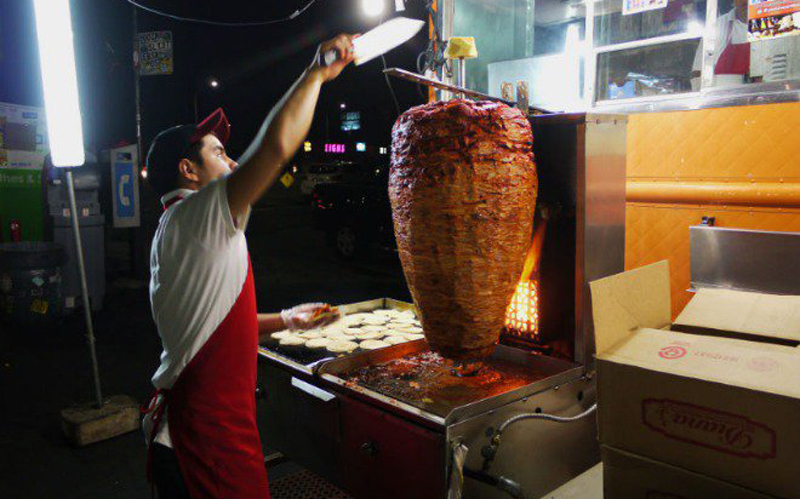 City Council voted on Tuesday to draft a law that will finally legalize street vending and usher Los Angeles into the modern age of al fresco foodstuffs (but for real, every other major American city has already done this). Until now, street vending could lead to misdemeanor charges—though, more often than not, only fines and citations were issued, according to the Los Angeles Times. The push to legalize vending has been in the works for years, but it was accelerated in recent months by the current political climate. President Trump’s plans to deport millions of people, starting with those who have criminal records, got L.A.’s councilmembers scrambling to decriminalize the selling of ice cream from sidewalk carts. Finalizing the rules and rolling out the permitting process could take months, which means that, for now, vendors can still be fined, though not charged with misdemeanors. Though the deets have yet to be set in stone, the current proposal will (somewhat arbitrarily) cap the number of vendors at two per block in commercial and industrial zones.